Education offers a route to Canadian permanent resident status. There are a range of programs whereby international students may apply for permanent immigration. In some cases, this can be done without obtaining a job offer from a Canadian employer. become eligible for Canadian permanent residence, either through a Provincial Nominee Program, through Quebec's immigration system, or through the Express Entry immigration selection system. The steps to becoming a Canadian permanent resident through education are outlined below. To discover your options for studying in Canada, and working or immigrating after graduation, complete the CanadaVisa Study Pathway Form today. 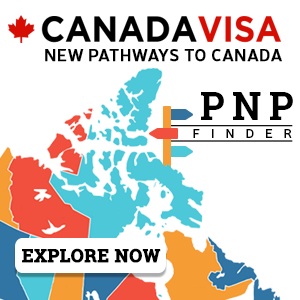 CanadaVisa.com offers FREE tools and resources available to help you get to grips with the process. The CanadaVisa School Search helps you find the institution best suited to your needs. This resource provides detailed, up-to-date information on each institution's location, cost, admission requirements, signature programs, and more. SchoolMatch provides you with a FREE personalized report to show which Canadian schools match your expectations and goals. Using advanced algorithms, SchoolMatch has helped thousands of students find the right education institution in Canada. 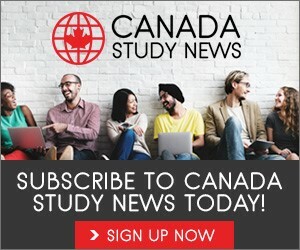 Canada Study News focuses on every aspect of studying in Canada as an international student, from preparation to immigration. With the latest news and analysis, you can get the free Canada Study Newsletter delivered straight to your email inbox each month. Solution: International students in Canada can work off-campus while studying, allowing them to gain an income, build up valuable Canadian work experience, and make professional connections that can help them later in their career. Solution: If you are worried that immigration to Canada via education is not a realistic pathway, note that age is neither a barrier to gaining admission to a school nor obtaining a study permit. Canadian schools, including colleges and universities, have many mature students on their enrollment. Once you have identified a particular study program, or a shortlist of potential study programs, you will need to gain admission by obtaining what is known as a Letter of Acceptance. While the exact admission requirements and procedures vary between institutions across Canada, our dedicated 'Get Admission to a Canadian Educational Institution' page outlines potential requirements for gaining admission to a Canadian designated institution. Once you have gained admission to a study program at a Canadian designated institution. you may begin to apply for a Canadian Study Permit. A Study Permit is a document issued by Immigration, Refugees and Citizenship Canada (IRCC) that allows a foreign individual to study in Canada for a designated period of time. 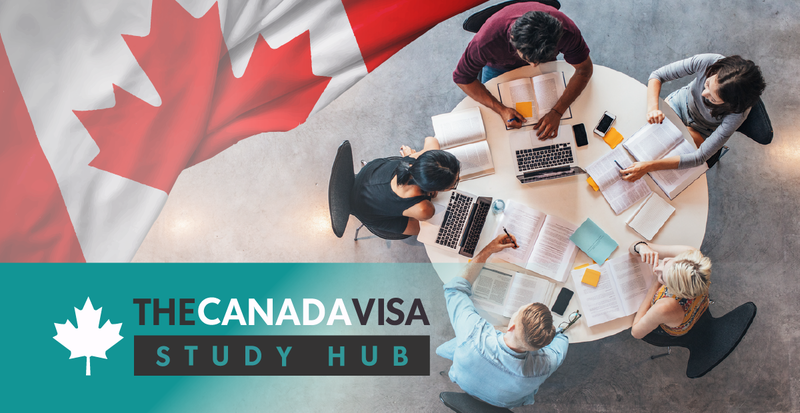 In addition to having already obtained a Letter of Acceptance, an applicant for a Study Permit also needs to satisfy the Canadian Visa Officer that he or she has sufficient funds to pay tuition fees and cover living expenses while in Canada. Applicants from certain countries may also require a Temporary Resident Visa (TRV). Learn more about Canadian Study Permits. Learn more about Temporary Resident Visas. Solution: The types of proof of financial support that may be accepted by IRCC include: proof of a student/education loan from a financial institution, a letter from the person or institution providing you with money, and proof of funding paid from within Canada if you have a scholarship or are in a Canadian-funded educational program. Solution: Prospective students in Canada who have been refused a Canadian study permit may find themselves in a frustrating position. There may, however, be a solution. Learn more on our dedicated 'Study Permit Refusals and Appeals' page. Once you are studying in Canada, it is important to maintain your status in the country. This may entail renewing or changing your study permit. 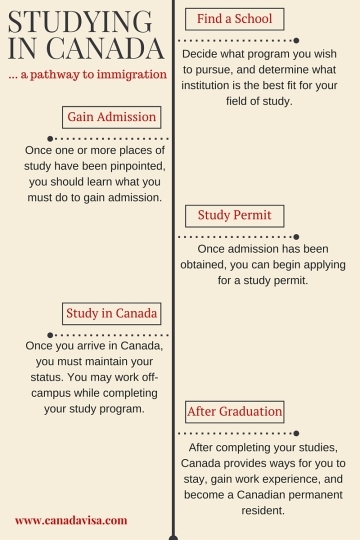 After completing your study program in Canada, a typical path from student to permanent resident status in Canada is through taking advantage of something Canada offers that is not available, or more difficult to obtain, in other countries — an open Post-Graduation Work Permit. This work permit, which allows its bearer to work for any employer in Canada, may be issued upon completion of the study program and is equal in length to the duration of that program, up to a maximum of three years. Thus, a graduate who completed a three- or four-year study program may be eligible for a three-year work permit, allowing him or her to remain in Canada for a total of six years. Individuals who have obtained a Canadian degree, diploma or certificate and built up professional experience in Canada may have multiple immigration options through the available federal and provincial programs. There is only one place where you can get an assessment of your immigration options across the more than 80 programs that lead to Canadian permanent resident status — the CanadaVisa immigration assessment form. Even if you have submitted this form before and been informed that you are likely ineligible to immigrate to Canada, remember that things may change. New programs may be created for which you may be eligible, or existing programs may be amended, which also has the potential to make previously-ineligible individuals eligible. Individuals who are currently ineligible to immigrate to Canada can take control of their own destiny and begin the pathway to Canadian immigration through education — it may be your best chance to achieve your Canadian immigration goals. To begin your pathway to Canadian immigration through education, use our CanadaVisa School Search and SchoolMatch Canada tools.